On the 21st April Charlotte Jennings will be hosting her Sweet 16th at the Hallmark Hotel in Stockport to raise money for both Kidscan Children’s Cancer Research and the Royal Manchester Children’s Hospital. At the age of 11 Charlotte was diagnosed with a rare and aggressive type of Acute Myeloid Leukaemia. Her treatment means she is cancer free but facing a life of challenges because of the side effects of the treatments used to save her life. Despite her struggles, Charlotte devotes her spare time to fundraising to ensure other children diagnosed with cancer have a better experience, and a chance to survive without side effects. “My 16th birthday is very special to me. At times I thought that I would not be here to celebrate it but here I am and so I want to do something extra special by raising £10,000.00 for charity”. 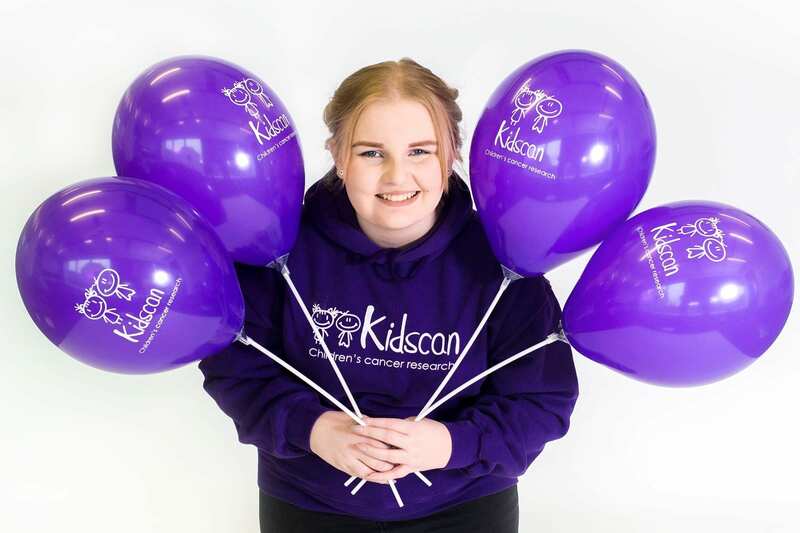 To help Charlotte raise her goal of £10,000 for Kidscan and the Royal Manchester Children’s Hospital Charity, Charlotte will be hosting a raffle, auction, tombola and other fun & games. To help raise money, Charlotte is asking for donations of prizes – anything from boxes of chocolates to large one off items that can be auctioned! If you would like to donate a prize to Charlotte’s party – get in touch via our contact page, and we can organise drop off.